Soon after the tea party era began in Congress in 2011, President Obama and House Budget Committee Chairman Paul Ryan each released their budgets, proposing how much the government should tax and spend over the rest of the decade. Three years into that budget showdown, Mr. Ryan and his Republican colleagues are winning. Government spending has slowed, and Mr. Obama's plans for higher taxes and higher spending have fallen by the wayside. "The discretionary spending has in fact been driven by Republicans post-2010 clamping down," said Douglas Holtz-Eakin, a former director of the Congressional Budget Office who is now president of the conservative-leaning American Action Forum. "It shows up in the sequester caps and all those things, and it tracks Republicans a lot more closely." Mr. Ryan's first budget, released soon after he took control of the Budget Committee in 2011, called for the federal government to spend slightly less than $3.59 trillion this year and take in just under $3.09 trillion in taxes. In reality, the CBO says the government is poised to spend $3.52 trillion and collect $3.03 trillion in 2014, meaning the Wisconsin Republican was off by about $50 billion or $60 billion. In his own budget that year, Mr. Obama said that by 2014 the government should be spending nearly $4 trillion and taking in $3.33 trillion in taxes. Both projections are off by hundreds of billions of dollars. 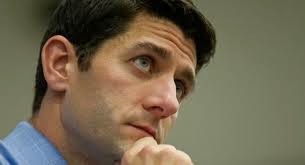 The better track record doesn't mean the Ryan budgets were adopted in full. Indeed, not a single one of his budgets has become law, with the Senate twice refusing to write a companion budget and another time writing a tax and spending plan that was so different from the House Republicans' version that the two sides couldn't reach a reconciliation.